Munich, Germany’s southernmost metropolis, is the capital of Bavaria. Situated in the banks of Isar, north of the Bavarian Alps, Munich is also Germany’s third largest city next to Berlin and Hamburg. With its combination of amazing natural scenery, history, modernity and culture, there are certainly many things to do in Munich. 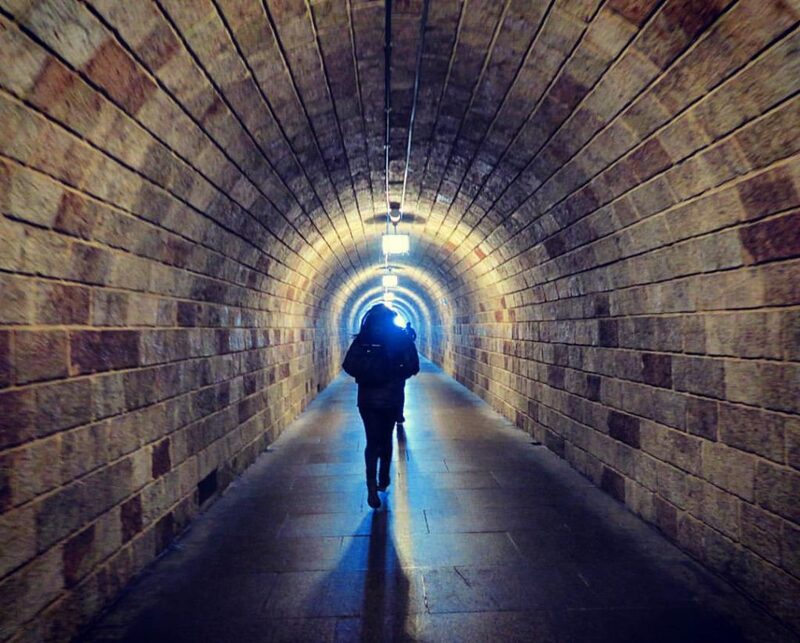 This guide covers places to see in a span of 3 full days exploring Munich. Munich was our first entry into Western Europe as we finished our Central Europe tour. From Prague, we took the train to Munich, a direct service that is about 4 hours and 30 minutes long. Munich is probably most famous for being home to Oktoberfest, the world’s largest beer festival. It runs for 16 days, usually in the middle of September to the first week of October. We were in Munich late October so Oktoberfest was well and truly gone by then. But we were thrilled to find out that Oktoberfest or not, Munich is really a memorable city. Our goal in this trip was to see what makes Munich unique from other German cities. 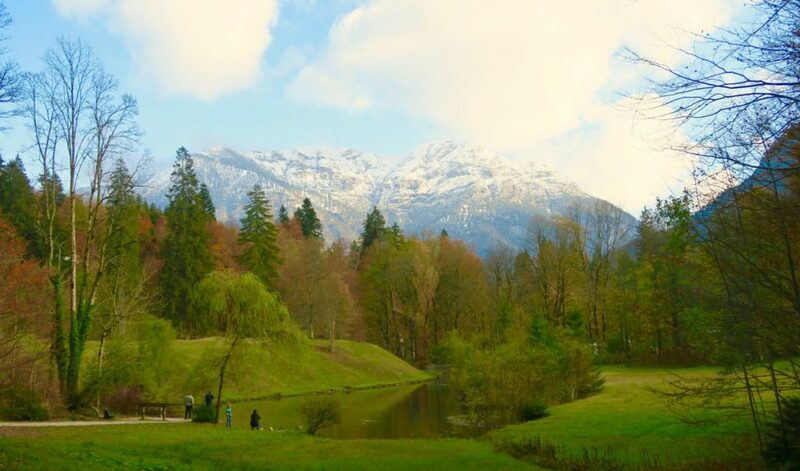 The fact that it’s within the Bavarian Alps and also has the world’s most famous castle (aka the ‘Disney Castle) made us want to focus on day trips. Luckily, we had time to explore central Munich, as the city itself also holds a lot of charming discoveries, and it left me wishing we had more than 3 days in Munich. Try to google ‘Day Trips from Munich’ and you will get an avalanche information of daytrips and tours. Munich’s location, abundance of natural sights and castles makes it a great base to explore the Bavarian state, and even it’s neighbouring countries. 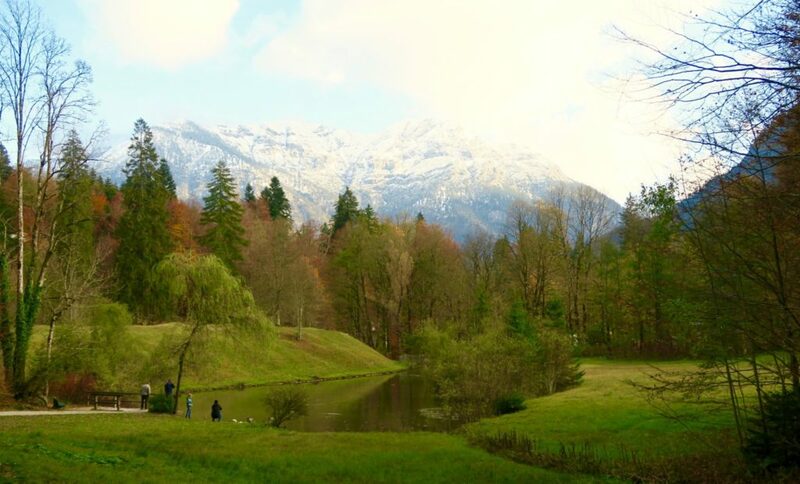 One of the most famous tours is a day trip to Salzburg, Austria from Munich. We initially wanted to do that but during those weeks (and months), the border between Austria and Munich was closed due to the refugee crisis. This of course, is beyond our control so we opted to have 2 day trips within Munich instead. On hindsight, I thought this was better as it gave us a great chance to explore more of Munich, rather than a rushed day trip to another country. With over a million visitors per year, the Neuschwanstein Castle is one of the most popular tourist attractions in Germany, and probably the most famous castle in Europe. 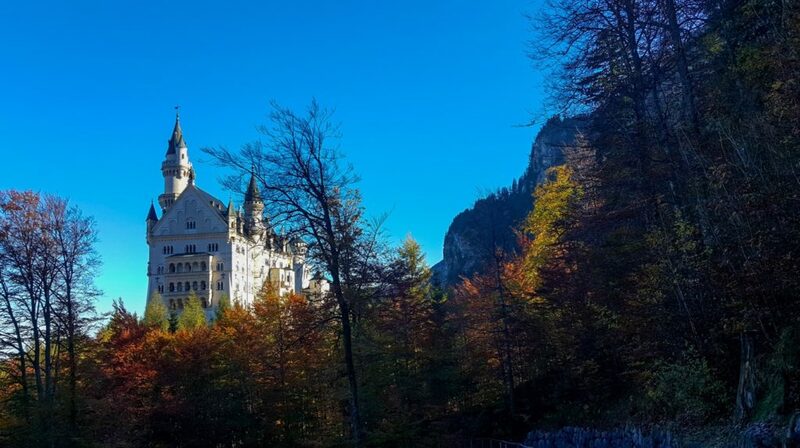 Although the architectural style of the castle is Neo-Romanesque (inspired by the 11th and 12th century Romanesque style), the Neuschwanstein Castle is a relatively “new” castle, with its construction commencing in 1869. It’s structure was commissioned by the reclusive King of Bavaria, Ludwig II. He intended to have it as a personal refuge and also an homage to the composer Richard Wagner. Sadly, Ludwig II only slept a total of 11 nights in the castle. He died at a young age of 40, with the castle not completely finished. After his death in 1886, the castle was opened to the paying public and since then, more than 61 million people have visited Neuschwanstein Castle. One of them was Walt Disney, who visited the castle after World War II. And this was how he was inspired to fashion the ‘Sleeping Beauty Castle’, the castle in Disneyland after Neuschwanstein Castle. As Neuschwanstein Castle is located on top of a hill, there is a bit of climbing required to get there. (Tour buses can only park at the base). 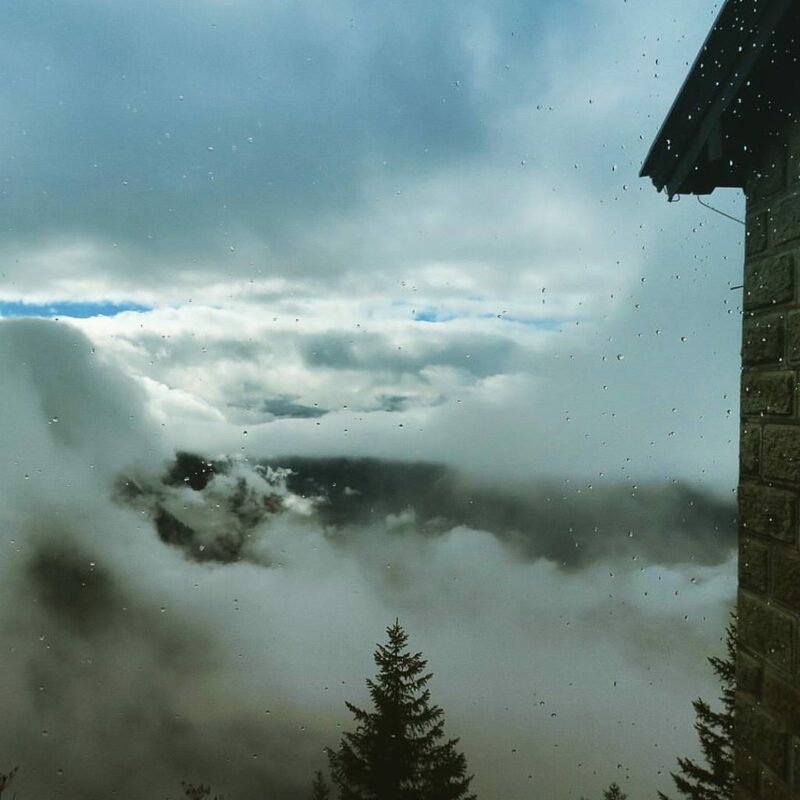 But you will definitely be rewarded with the views of both the alps and the castle, when you reach the top. 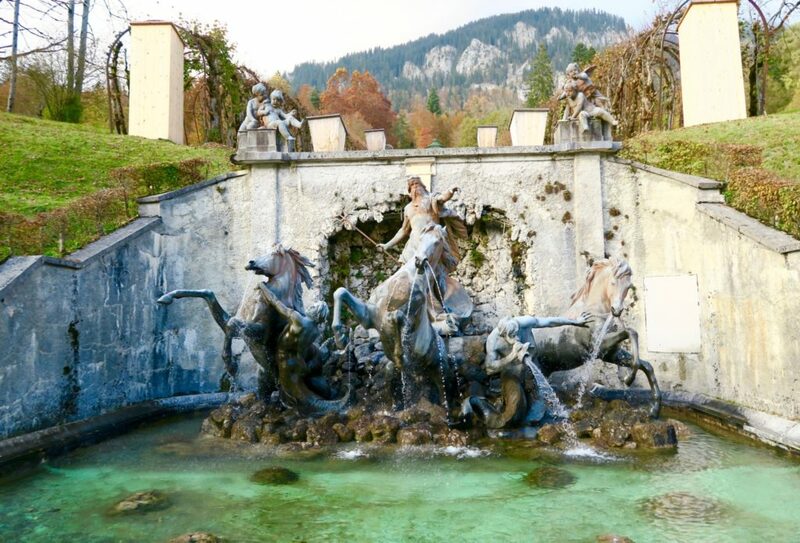 A visit to Linderhof Palace is usually paired with Neuschwanstein Castle trips as they are in the same region. 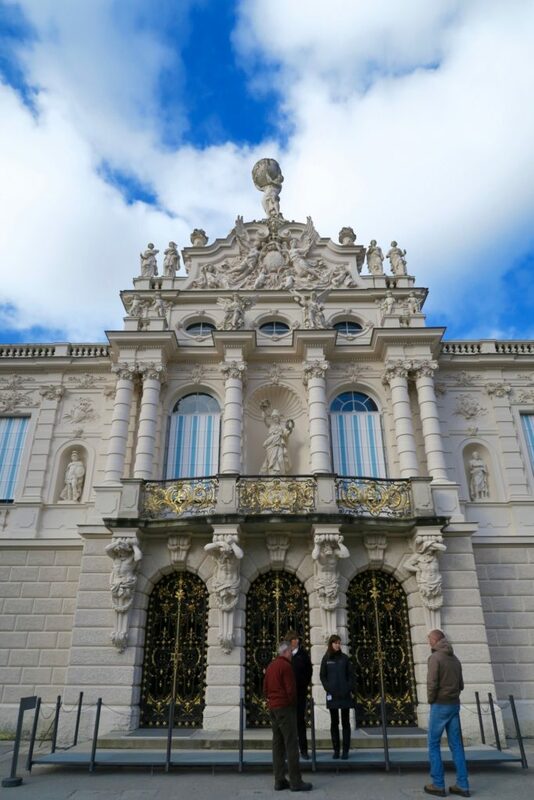 This Palace was also built by the Bavarian King Ludwig II. Linderhof Palace is the smallest of the three palaces / castles that he built, and the only one that he lived to see its completion. 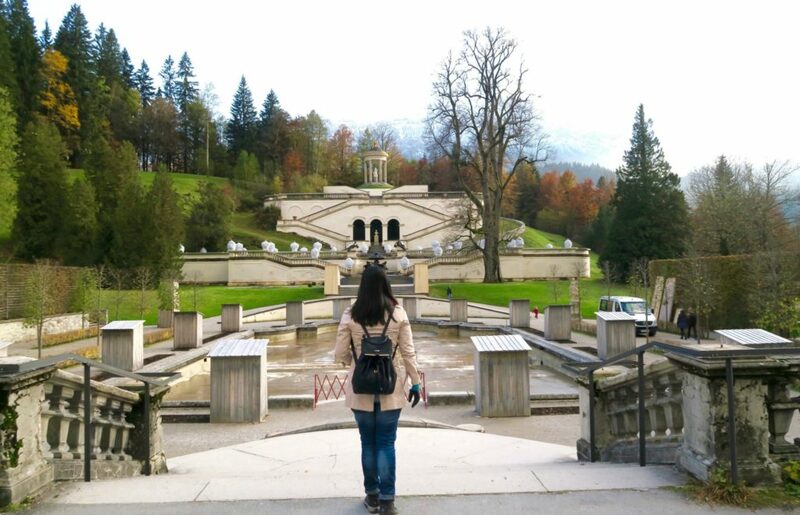 Again, the scenery within the grounds of Linderhof was breathtaking, with the alps just close by. The second day trip we took was to Eagle’s Nest. The Eagle’s Nest was Hitler’s former mountain resthouse, and where the top-level Nazis went for their R & R. This was also the place where they brainstormed their plans. It is rather ironic that this place is now a restaurant with mountain top views, and also a tourist attraction. What is interesting for me was getting there: After our bus zig-zagged its way up a mountain, we went through a massive tunnel, the end of which sits a HUGE elevator, which led us to the restaurant. The access was kept very discreet. It felt like entering a secret passageway..because that’s what it really was. On a clear day, views from the Eagle’s Nest are breathtaking (so I was told, and from what I can see in other images). Alas, it was a cloudy day when we visited. We did have about 2 – 3 hours on top. And all of us patiently waited for the clouds to part even just a little tiny bit. But no. The weather that day seemed to reflect that of the former owners of Eagle’s Nest. Nevertheless, it was an interesting visit for me. At the base of Eagle’s Nest was a mini exhibit of Nazi documentation and also the bunkers where the Nazis hid during the last days of World War II. We had a bit of time to explore the city, and it’s just as fun as the countryside day trips! Marienplatz is the central square of Munich, and where most shops and restaurants are located. The vibe in Marienplatz is amazing. Full of life without being crowded. Maybe it was the Christmas season (or lead up to that) but it seemed everyone was in high spirits. 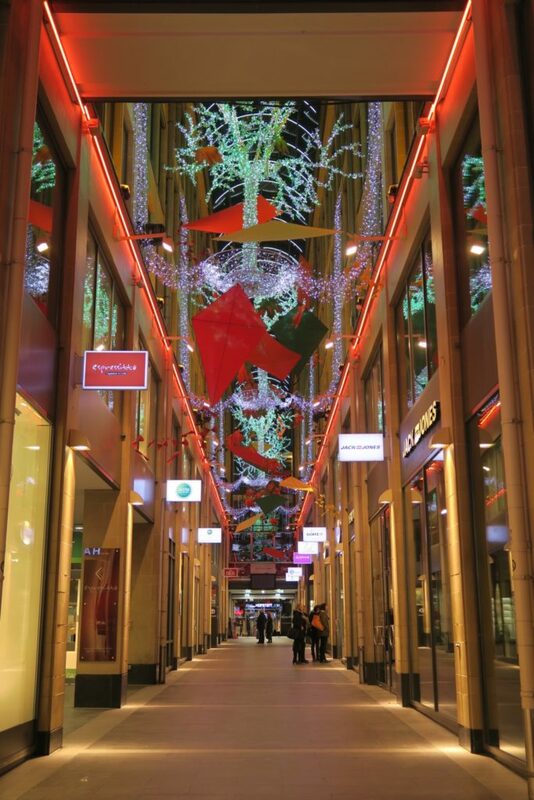 Shopping in Marienplatz was very pleasant. It’s busy without being stressful. Combination of high-street brands and local ones. But the one thing you should never miss, and keep an eye out for when in Marienplatz are the street performers. Geez, the musicians in Marienplatz really take their performance to an A PLUS LEVEL! 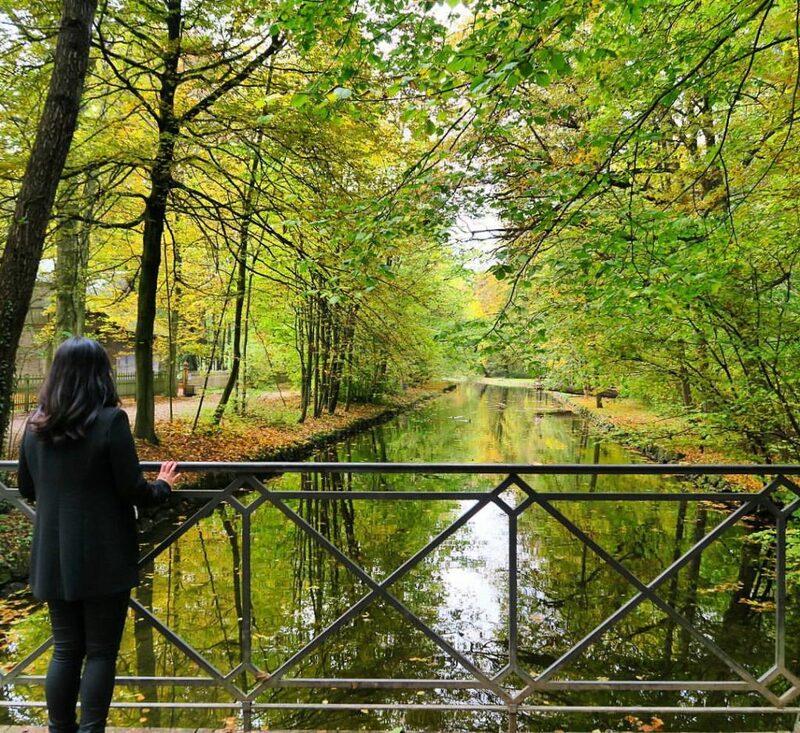 The English Garden is a large public park right in the centre of Munich that stretches from the city centre to the city’s northeastern limits. I love how the garden feels like a refuge. Once you enter it, the sounds of the city seem to disappear and you’re in the middle of this thick , lush and green foilage. It was quite empty when we visited, but during summer, the English Garden is a popular hangout, with some innovative folks using the streams in the garden to surf. Perhaps Munich’s greatest and most famous contribution to the modern world is BMW (Bavaria Motor Works). 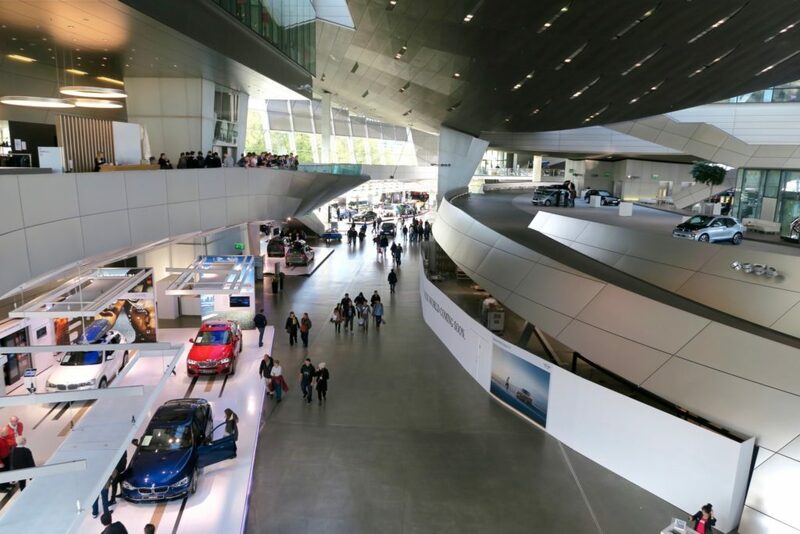 BMW Welt is both an actual ‘shop’ (with heightened customer service and experience) and also an exhibit. The headquarters itself is just nearby. Now I would be the last person you would talk to about cars but when in Munich, a visit to the BMW Welt is a must. It’s a full sensory BMW experience where one can see, hear, touch and even test drive BMW’s latest models. To the right of the photo is a mega garage for outgoing cars where actual buyers lliterally drive away with their brand new BMW. I learned that many visitors and buyers make the journey to Munich to pick up their car/s from the headquarters for the sheer novelty of it. The Allianz Arena, opened in 2005, is the first stadium in the world with a full colour changing exterior. Nicknamed the ‘inflatable boat’, financial services provider Allianz purchased naming rights to the arena for 30 years. 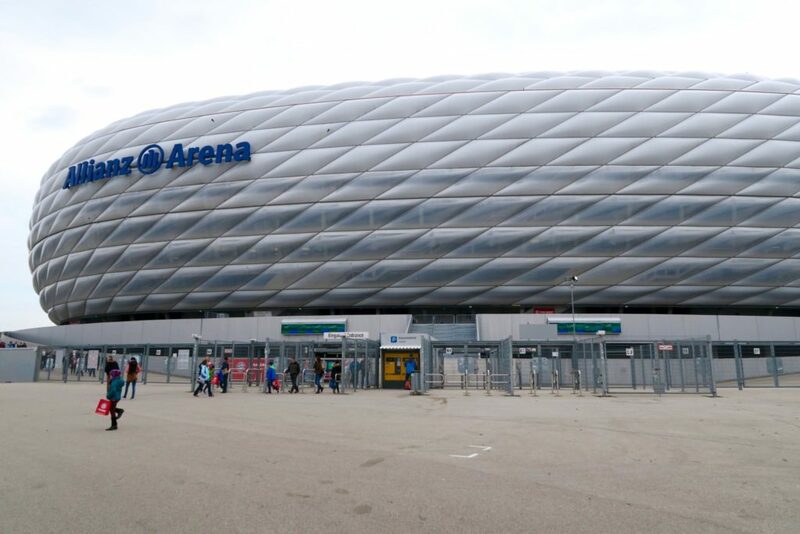 Allianz Arena was designed purely as a football stadium and is home to both major Munich clubs, Bayern Munich and 1860 Munich. We strolled the grounds of Nymphenburg Palace (footage on video below), but unfortunately didn’t have time to explore the famous interiors of the palace. Nymphenburg Palace was completed in 1675 , and was the summer residence of the former rulers of Bavaria. This is the part of the trip where I wish we had more time so we could have seen the Baroque interiors of the palace. Well this is a note for future visit, and for those of you planning a visit to Munich soon! 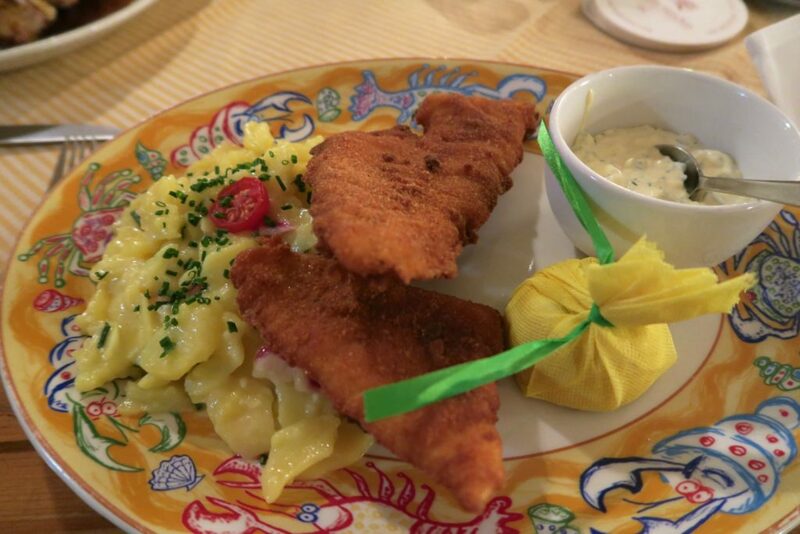 Here’s a rundown of all the things we got up to in Munich! I have two recommendations in Munich, one is a traditional Bavarian type of restaurant, and another is a really great vegetarian restaurant. 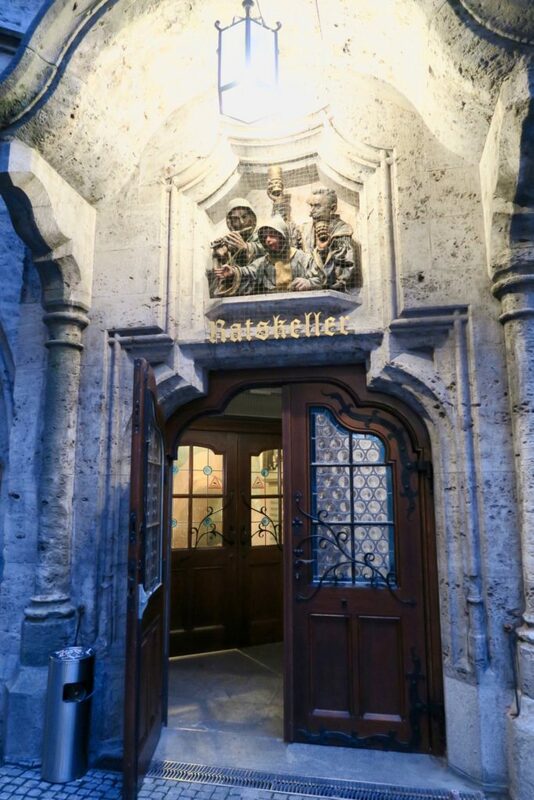 Ratskeller is located in the New Town Hall of Marienplatz, so it’s in the centre of the centre of Munich. I love the traditional Bavarian and 19th Century German atmosphere. It’s a very popular place to eat but it’s a huge restaurant anyway so you’re bound to get seats even without reservations. 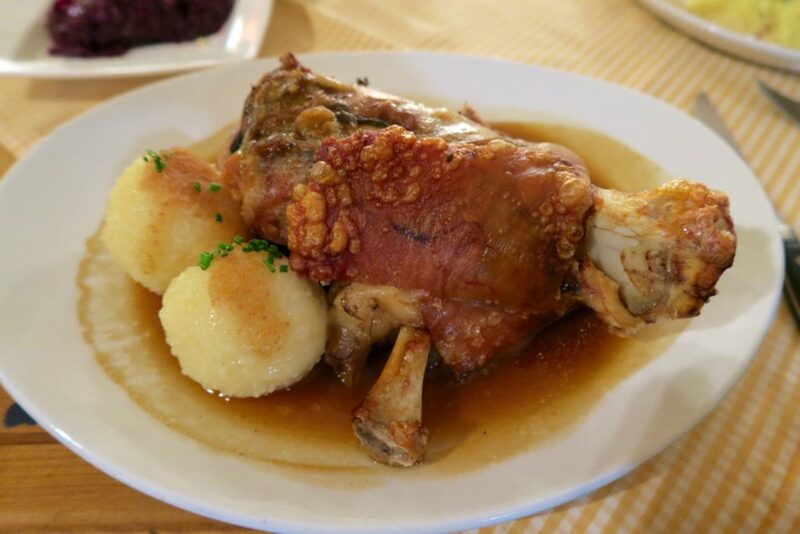 Those wanting to try traditional German dishes such as the pork knuckle will enjoy Ratskeller. Zombie had the above pork knuckle and was extremely satisfied. There aren’t much vegetarian options , same with seafood. I had their breaded fish, which was a little too deep fried for my taste. As I said, I would recommend Ratskeller for meat lovers ( I am pescatarian) and those wanting to have a taste of a traditional Bavarian meal. You know I am deeply besotted by a restaurant’s food when I haven’t even thought of taking a photo of the food. 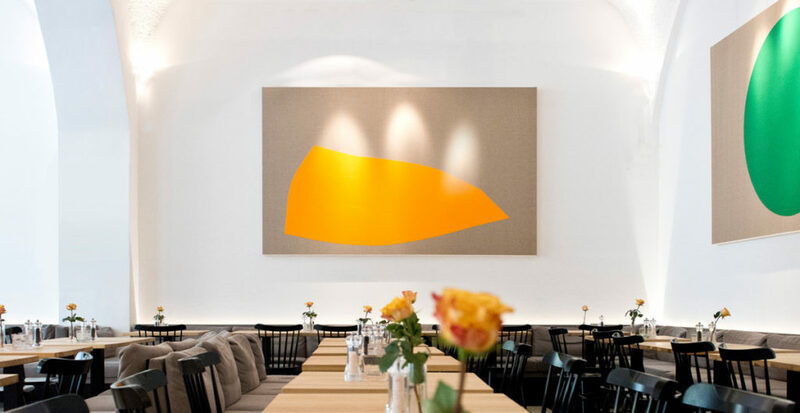 This vegetarian restaurant in Munich is an absolute discovery. Think of any kind of cuisine (Japanese, Thai, Chinese, Moroccan, Indian, Western) and they have vegetarian dishes of that kind. The quality of food was so fresh and they had generous (but not overly) servings too. Munich is a city that has easy transportation, and the city is quite compact (not as sprawled out as say, Berlin). 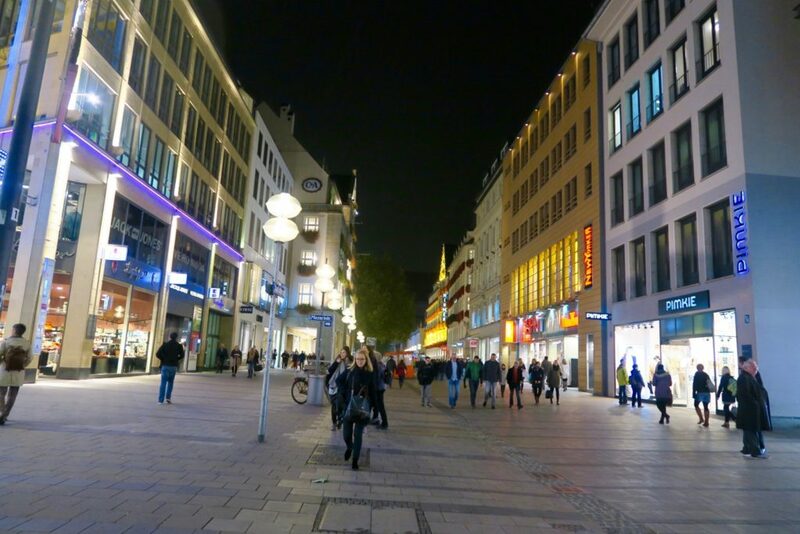 Thus, I recommed staying somewhere central so you can easily walk to the main city areas like the Central Station (München Hauptbahnhof) and Marienplatz. These two hotels flank the central station on either side, and I would recommend them as they are comfortable (you do need to be fully rested after a day of exploration!) and conveniently located. The Charles Hotel Munich is just across the Old Botanical Garden (Alter Botanischer Garten ) and is about 5 minutes walk to the Central Station. You can also find Munich’s longest indoor pool here. 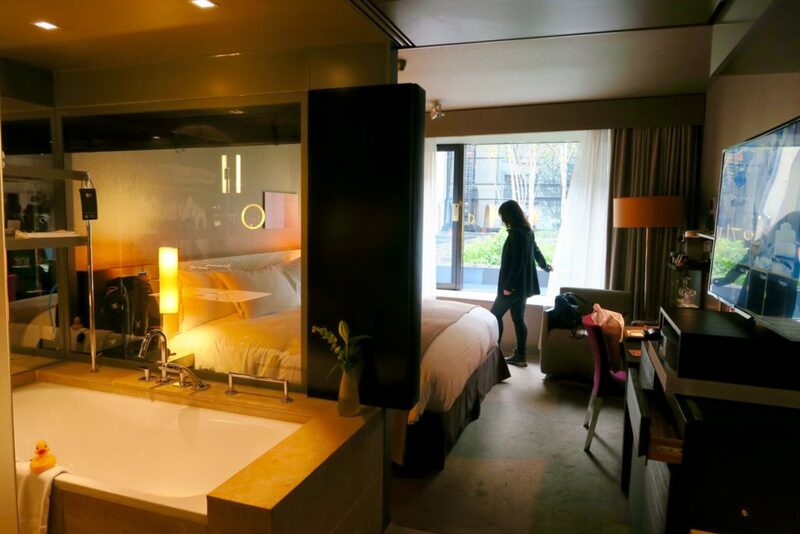 Read my full review of Charles Hotel Munich. The hotel building of the Sofitel Munich Bayerpost used to be the Royal Bavarian Post Office. This hotel leaves such a lasting impression as it has one of the best hotel beds I’ve ever slept at. It is also just a mere 2 minute walk to and from the Central Station. 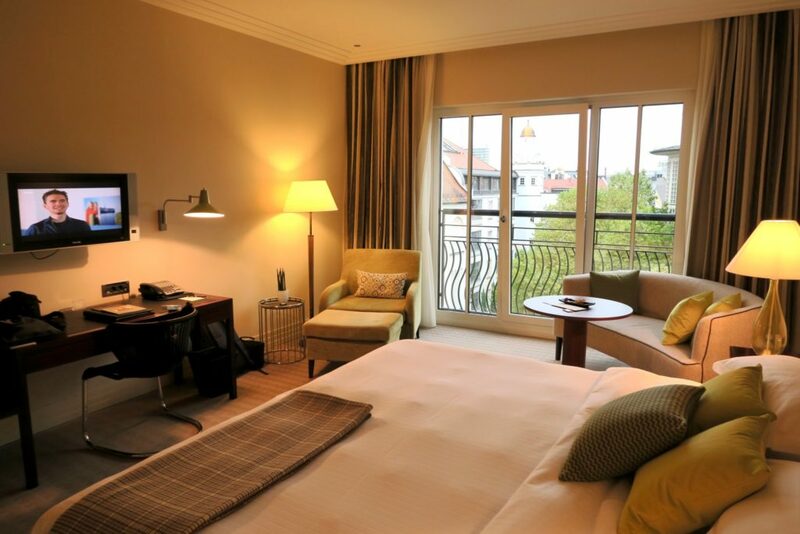 Read my full review of Sofitel Munich Bayerpost here. Here are my personal thoughts: If Munich were a person, she would be that kind of girl in school who’s just good at EVERYTHING. Pretty, maintains high grades, smart, funny, and has lots of friends. I say that because Munich seems to have the best of everything: Great location, close to the alps and nature, has castles and palaces (history), has a very charming city centre with kooky musicians, great shopping, and also has a cosmopolitan / sporty side (BMW Welt and Allianz Arena). I’m aware that some cities that have ‘everything’ tend to lose its character, but Munich still has the magic and charm of old world Bavaria. I’m curious, have you been to Munich? Do you know of other cities that seem to have it all? Disclaimer: Our tours were provided by Munich Tourism Board. However, all opinions and sincere fond thoughts of Munich are mine. I’ve never been to Germany! I’d like to visit it one day. I have heard great things about Berlin but I hadn’t heard much about Munich. I’ve only ever been to Germany once and that was to Berlin. I’ve always wanted to go to Munich because as you say, it has it all! Besides I’m desperate to eat some pork knuckle and see that castle. It’s so sad that King Ludwig never got to see it! How did you find Berlin, Sammie? I admit I almost didn’t go to Munich because all I kept seeing are raves about Berlin. But I’m so glad I visited Munich! It may be the more ‘touristy’ city between the two but it’s more my style I think..balance of both castles and city life. I have worked with German chefs (terrifying) but they rave about all the awesome things to do, see and eat too, I have not visited the country, but feel I would have a natural affinity with it because, well… pork and beer. Ohh I’m curious about your experience working with German chefs! But glad you survived it 🙂 Oh absolutely, you will love pork and beer , also in prague! What a beautiful and lovely post!! I think I’m falling in love with this place.